The season has been deemed a disappointment and a failure to the organization. 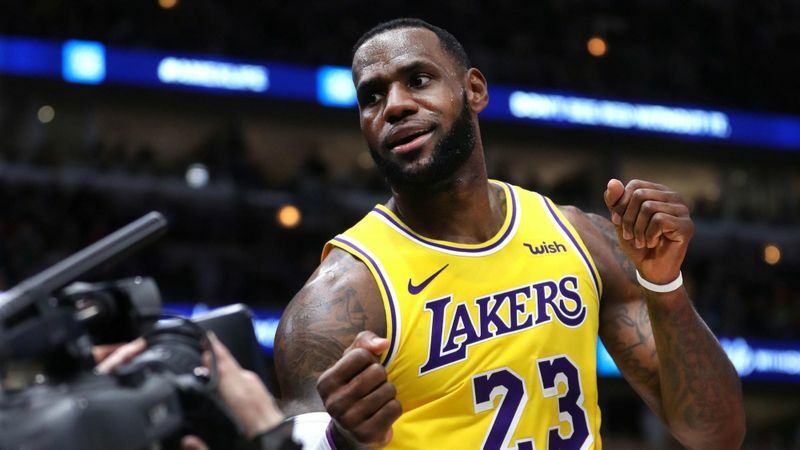 Despite the momentous 2018 offseason that brought about the signing of the greatest player in the NBA, LeBron James, and other veterans like Rajon Rondo and Javale McGee, the Lakers couldn’t hold their own weight in the NBA’s daunting Western Conference; with teams like the Warriors, Rockets and Nuggets who have increased their winning rates this season. The hype around the Lakers surely left fans of the historical team disheartened, as the team did not live up to expectations. The Lakers’ atrocious season was mainly a result of unfortunate injuries, where lead players like LeBron James missed 18 games in the middle of the season, along with Brandon Ingram and Lonzo Ball being shut down for the rest of the season. Shutting the players down shows that the Lakers’ front office is calling it a season and is shifting hopes to a successful recovery of the young stars. It seems that Magic Johnson, the Lakers’ President of Basketball Operations, and his right-hand man, Rob Pelinka, Lakers general manager, are initiating a long term plan to overcome the team’s faults. The team has assets to make the moves (trades), as they hold one of the most talented young players in the league, like Kyle Kuzma, Brandon Ingram and Lonzo Ball, as well as a mid-to-late pick in the 2019 draft; so fans may feel safe about the future. Delaying the return to the playoffs isn’t something so bad when put into perspective, but it will leave Lakers fans antsy for their to return to glory. It may be uneasy for the 16-time champions to miss the playoffs again (6th straight postseason), but fans will always hope for good things next season. The Lakers are seeking another “successful” offseason this year and to actually hope everything comes together before things become dire. Whether it’s through the draft, free agency or a mix of both, it’s up to Johnson and Pelinka to do everything in their power to surround James with a quality roster this offseason. “The ‘Lake show’ will be back [in due time], but then again, I don’t want to jinx myself,” Bollozos said.